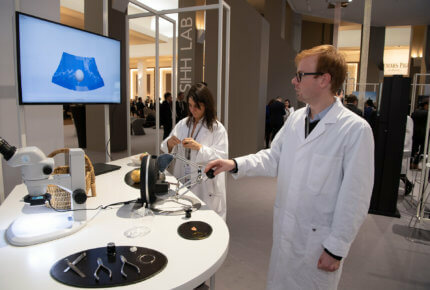 The LAB was one of the major new features at SIHH 2019, which just ended, and probably one of the biggest attractions, with demonstrations of the research that will take watchmaking into the future. Here are just some of them. The picture-postcard image of the watchmaker patiently assembling microscopic parts at the bench, loupe riveted to his eye, has had its day. 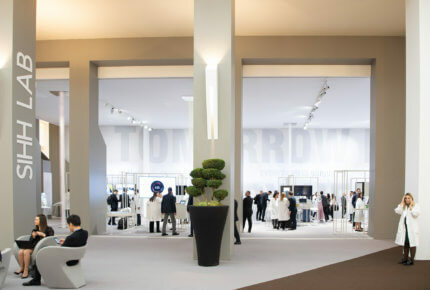 Or at the very least taken a knock for anyone who stopped by the LAB, a new feature at January’s Salon International de la Haute Horlogerie. Even before stepping inside the space, visitors were given a taste of what to expect when Pepper the robot glided up to greet them, did a little fist bump then answered questions on the theory of relativity. In the visitor’s language, if you please. With introductions over, it was time to discover the heart of the matter. And not a workbench in sight! 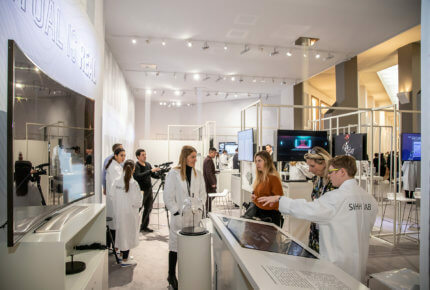 All four themed spaces inside the LAB were given over to new technologies, presenting twenty-some areas of research by SIHH exhibitors and by university labs working with the different watch brands. By which we don’t mean “pie in the sky” projects but innovations which, if they aren’t already in use, will be in the very near future. 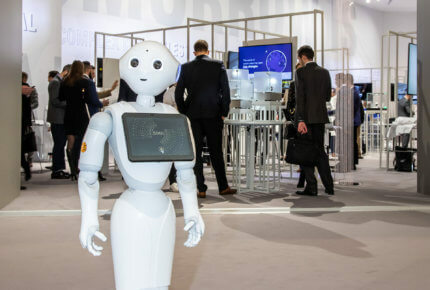 These range from original alloys to augmented reality, robotics and various digital applications at the service of both professionals and the end customer. In a word, proof that science and technology play an essential role in the development of watchmaking. 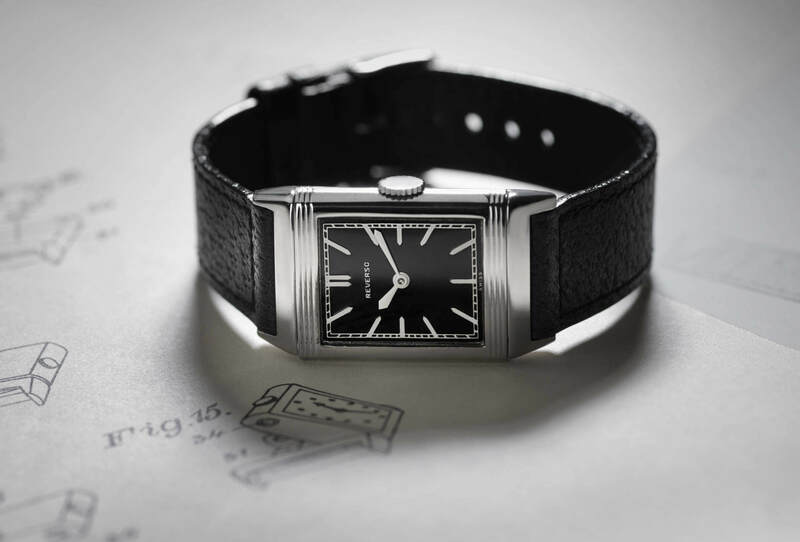 Science and technology play an essential role in the development of watchmaking. First stop was a visual recognition application which IBM Watson and Emakina have developed for the Fondation de la Haute Horlogerie. Working from a photo taken by a tablet or a smartphone, it identifies the watch in question and pulls up relevant information such as specifications, history, references and which stores within a given radius stock that model. 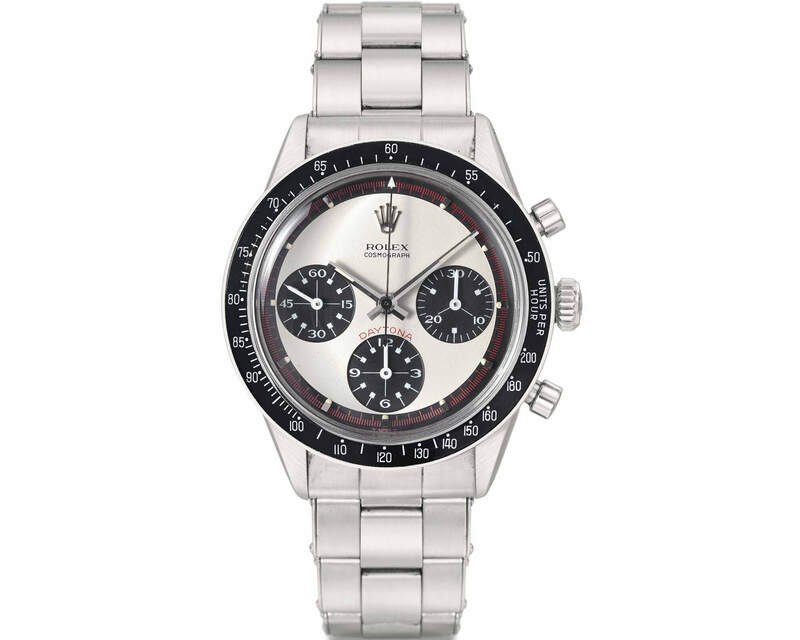 It also lists watches in the same category by the same brand, or comparable timepieces from other brands. Initially intended for sales staff, the app is designed as a fun and useful resource that will also interest collectors and other enthusiasts looking to increase their knowledge. The app isn’t yet up for grabs, but visitors to the LAB could try out the Live Diag app from Cartier and, simply by laying their watch on a tablet, check how well it is running. In a similar vein, Roger Dubuis’ connected Care Box listens to the movement’s oscillations to determine whether the watch is properly adjusted, or if the mechanism could be made to run more efficiently. And then for something completely different… a knitting machine by Japanese manufacturer Shima Seiki that is programmed to produce entirely seamless garments. A breakthrough like this would certainly be of interest to the watch industry if it were possible to obtain the same result using metal thread – an application that’s currently being explored. Another, more surprising project is the haptic interface that’s under development by one of the laboratories within Lausanne institute of technology (EPFL). Haptics, by analogy with acoustics and optics, is the science of touch, hence a haptic interface recreates the sense of touch through a remotely-handled object – in this instance an articulated ball. The EPFL project has nothing to do with any kind of “artisanal” machining or automation process. The human hand is very much in command through augmented reality that can, for example, intervene in hostile environments or when dealing with the infinitely small. 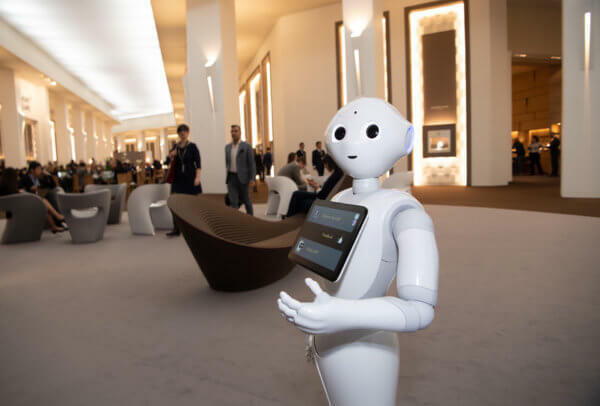 This isn’t scary, job-killer technology but, as is already happening in surgery, one that opens up vast new perspectives, in particular for the métiers d’art. A haptic interface recreates the sense of touch through a remotely-handled object. 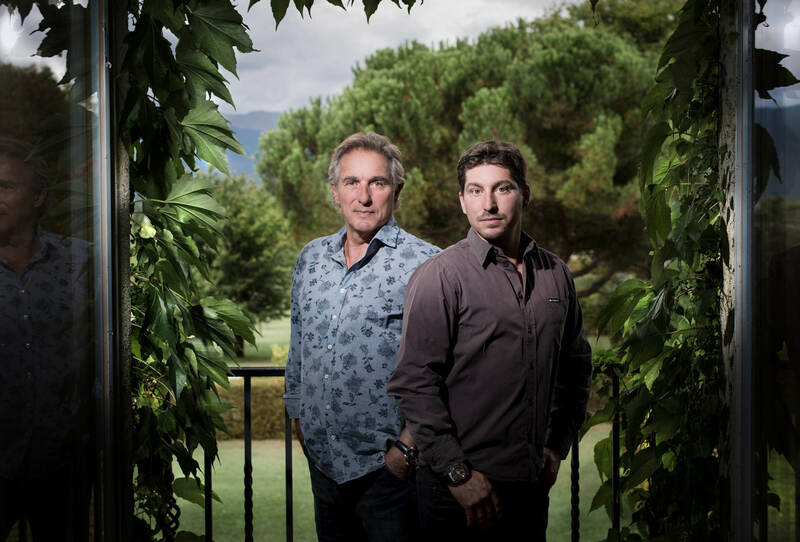 The last stage in this whistle-stop tour brings us to Vacheron Constantin which is digitizing its vast archives, an undertaking that will take many more years to complete. The Manufacture has already made considerable progress, in collaboration with EPFL+ECAL Lab (EPFL’s laboratory inside the Lausanne University of Art and Design building), with the goal of taking users on a virtual journey through Vacheron Constantin’s history and heritage. This is achieved by way of an interface that groups together and coordinates reams of historical information, using keywords to search the giant database of documents that have been scanned so far. The presentation is as impressive as the content itself, as users tap and slide a tactile screen, reminiscent of Tom Cruise’s gesture-controlled interface in Spielberg’s sci-fi Minority Report. 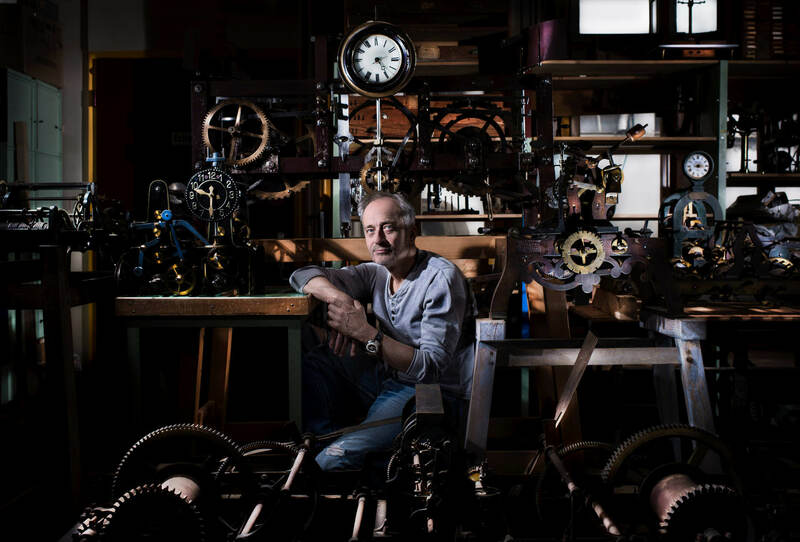 While this particular innovation isn’t linked to the actual manufacturing of watches, knowing how important legacy and authenticity are in today’s market, this type of narrative tool will prove invaluable. Which is precisely the vision of watchmaking the LAB sets out to present. A vision of the future.